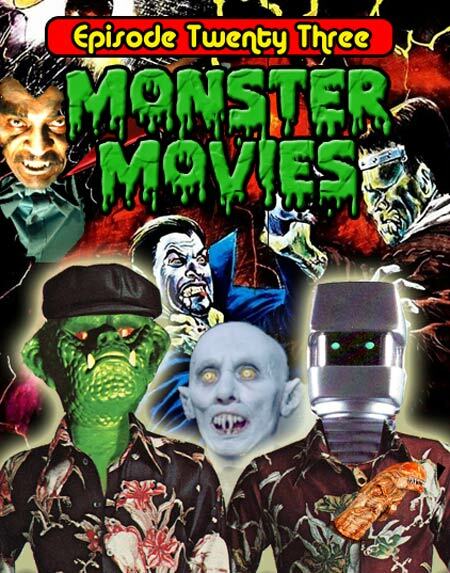 As we are both lovers of Monster Cinema or some call it "Creature Features" it makes sense for J and B to count down their top ten favourite Monster movies. By favourite, we do not mean "best" or greatest, just our personal favourites. Our top tens vary wildly which makes for an interesting discussion, Jason seems to prefer classic film while Brian seems to enjoy mostly junk food. The list wildly ping pongs between the houses of Hammer, Toho, Hemisphere, Independant International and Señor Spielbergo. Along the way we discuss Karloff, Chaney, Yaphet Kotto, Stephen King, Doctor Who, Paul Naschy, Peter Cushing, Christopher Lee and loads more. Happy Halloween from Pod Stallions! Dracula VS Frankenstein is available on a beautifully remastered DVD with Sam Sherman commentary. Any fan of Paul Naschy shouldn't be without this book. 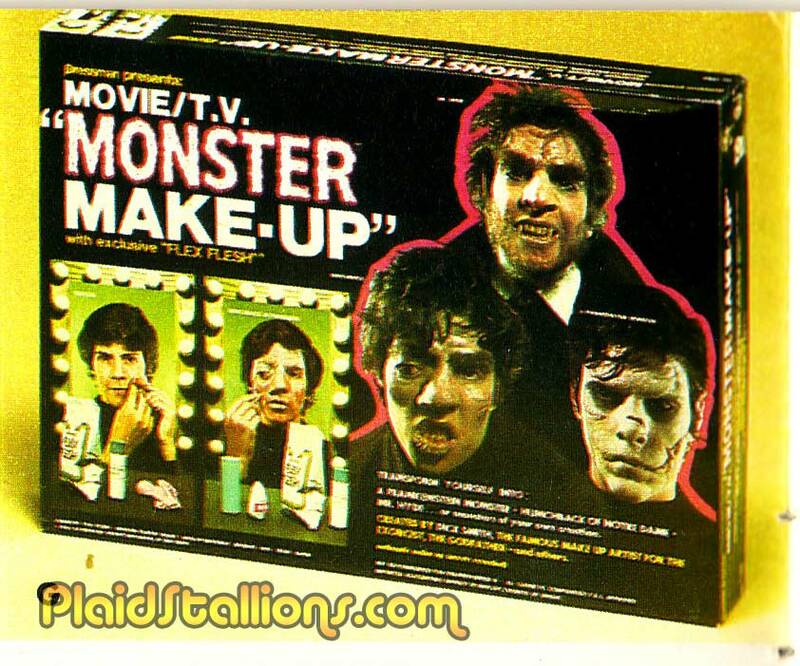 The Universal Monsters Blu-Ray set Jason and Brian both adore. A teriffic box set of Hammer Horror classics. 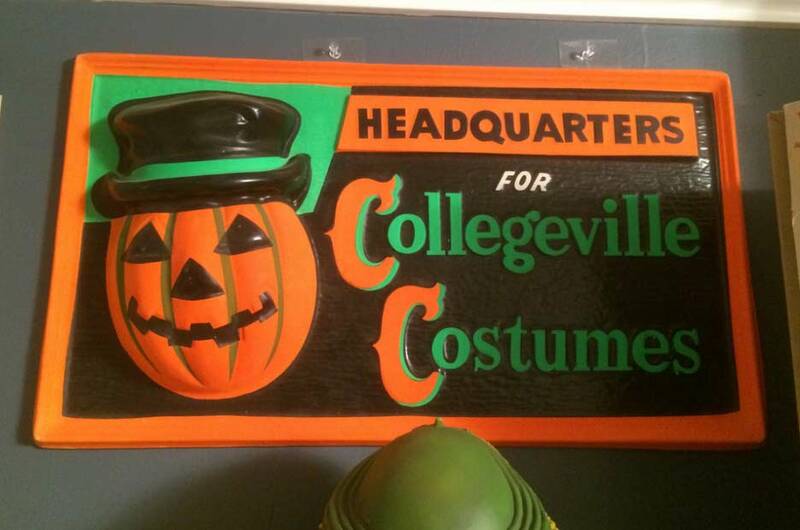 We'll be adding Halloween Costume photos to Facebook. 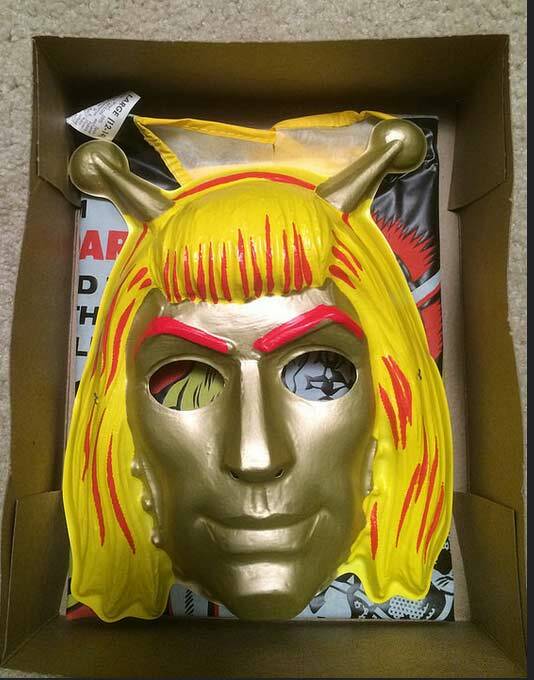 There is nothing I love more than Halloween Costumes based on obscure properties and brother does this fit the bill. 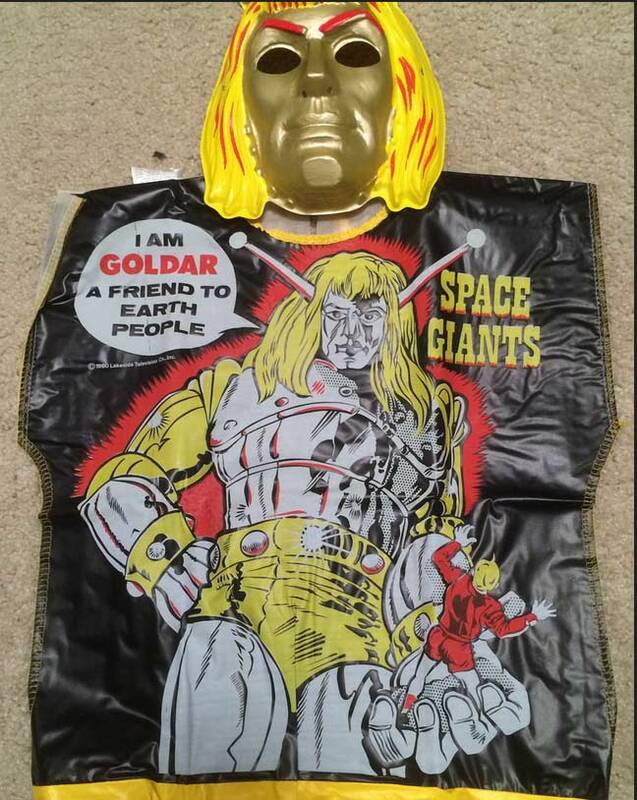 Space Giants was a 60's Japanese TV series that ran in syndication until the late 70s. This outfit was actually produced towards in the tail end most likely due to a renewed interest in science fiction due to Star Wars. 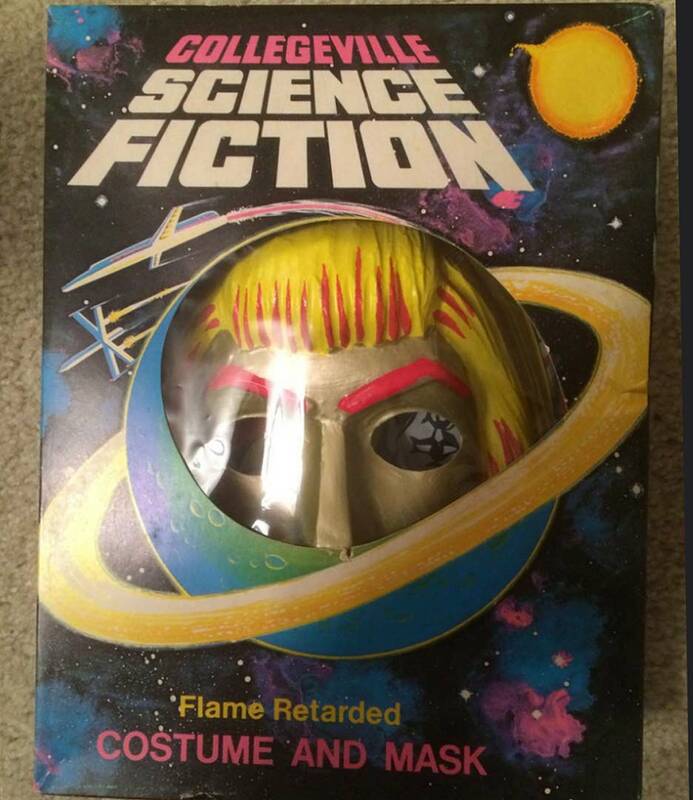 This is the first costume I've seen where the character has to explain who he is. If you have the costume for the series villain Rodak please contact me as I know a very interested party. One of the prize pieces from my pal Matt's collection is this awesome vintage vacuform sign and I totally understand why. What a trigger of happy memories this thing is, having this over your desk can only bring happy memories. My pal Matt sent me this photo and I have to say, I'm a l'il jealous of this killer monster themed rack toy. 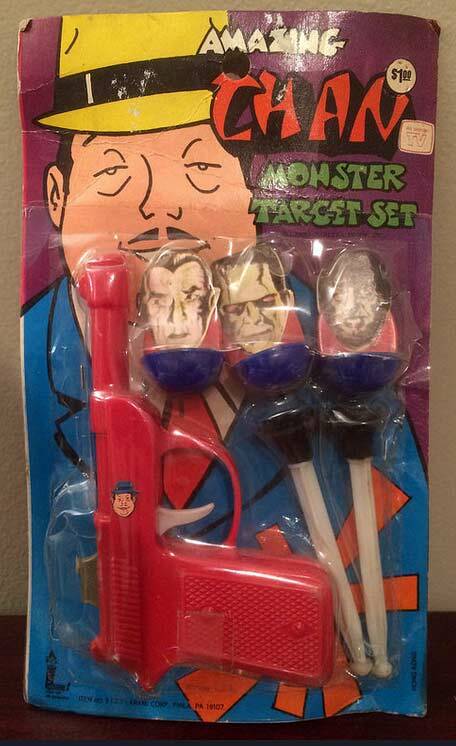 While a licensed toy (based on the Saturday morning antics of Charlie Chan) it's also got a some copyright infringement going on in regards to it's targets. 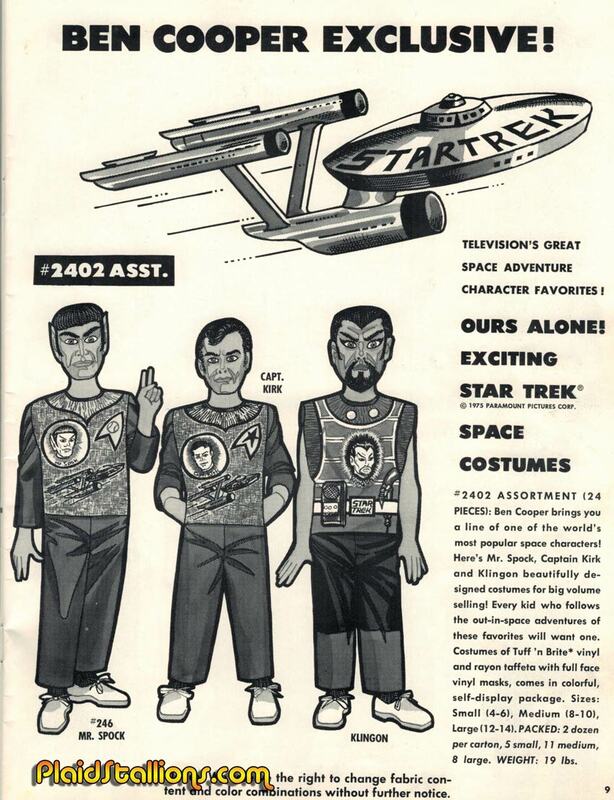 Ahem, those gentlemen look familiar, I want this...badly. 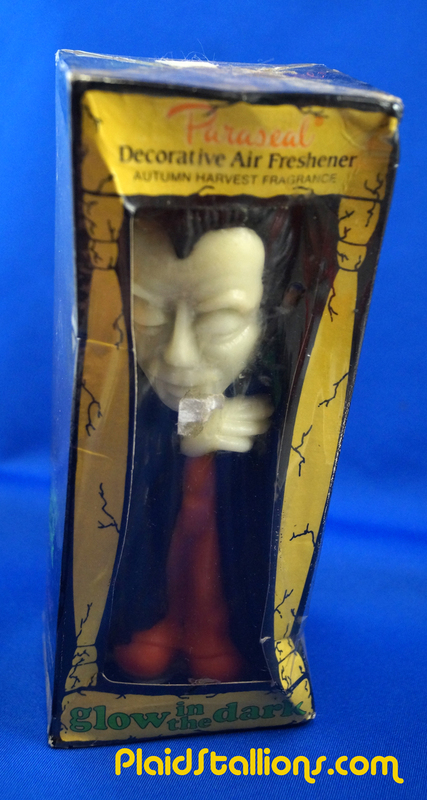 I couldn't pass this up recently at a flea market, an early 80s Dracula air freshener and it glows in the dark (a total weakness for me). 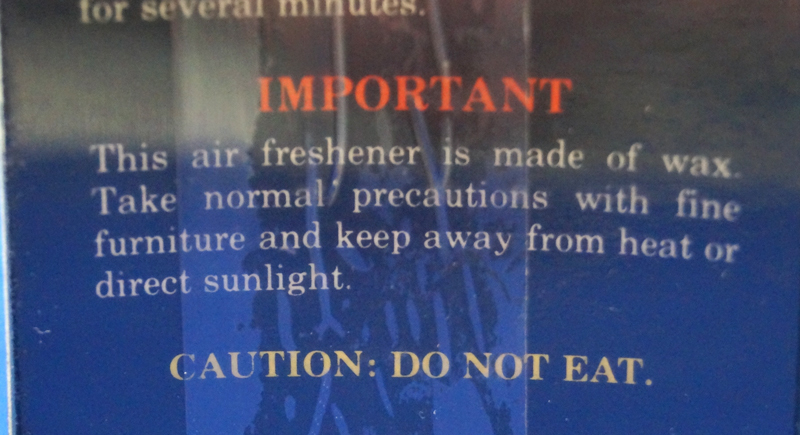 I'm not sure who thought Dracula = fresh smells but i'm a total sucker for this stuff. Because of me, they have to put that disclaimer. 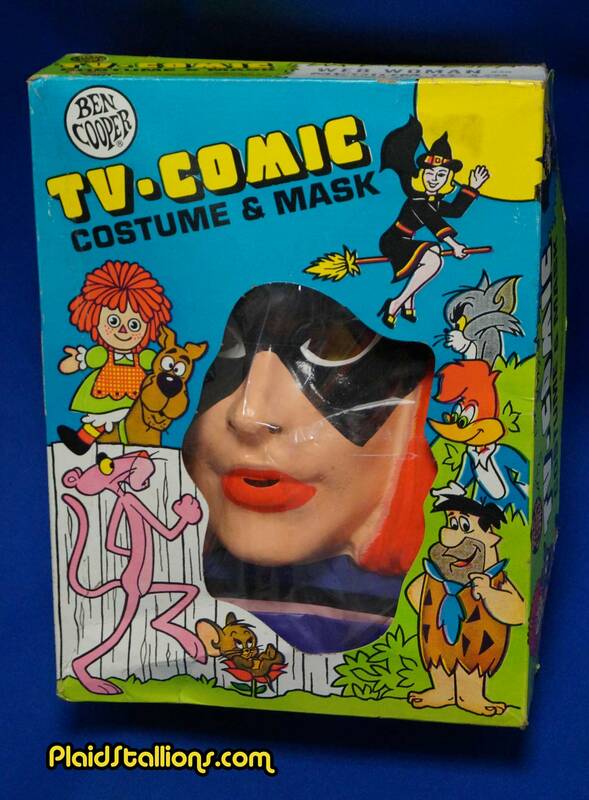 Ben Cooper was the leading manufacturer of Halloween costumes and Novelties in the United States during the 1970s. 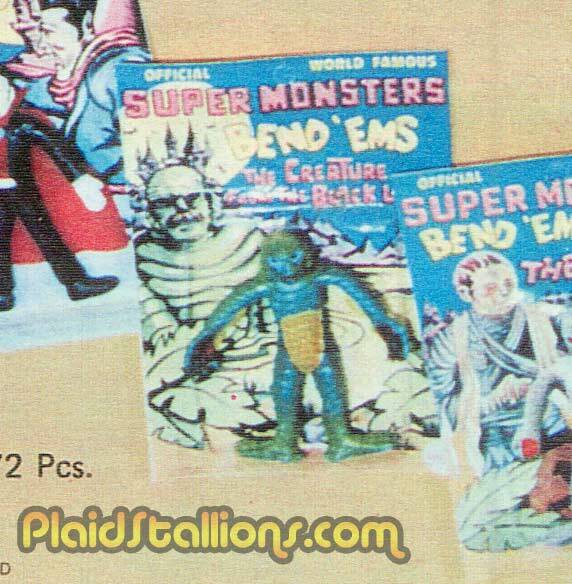 This extensive 1976 catalog really demonstrates the power house licenses they had from the Universal Monsters and Mickey Mouse, the Superheroes of both Marvel and DC to TV sensations like the Six Million Dollar Man and the Sleestaks, Ben Cooper had almost a stranglehold on what kids liked . 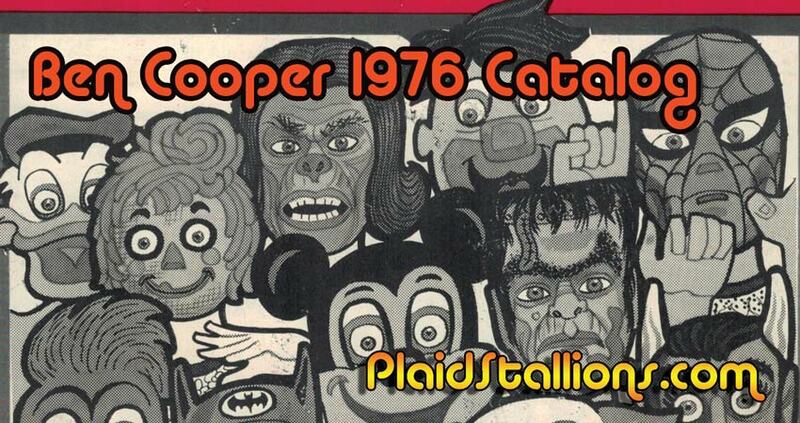 Dig into a true piece of 70s heaven with the 1976 Ben Cooper Halloween Catalog. 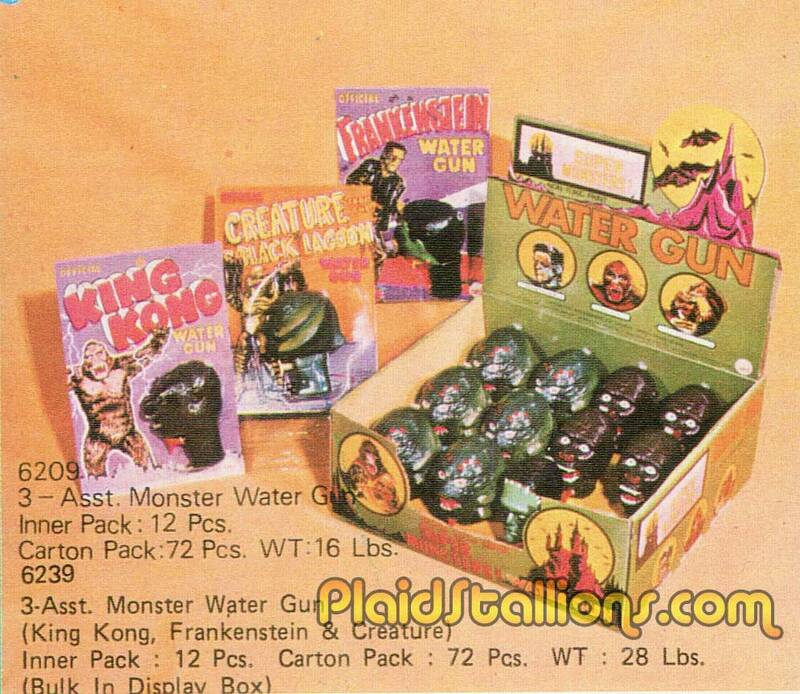 It's probably indeterminable how many careers this kit and "flexi flesh" kick started but we're better off for it's existence. 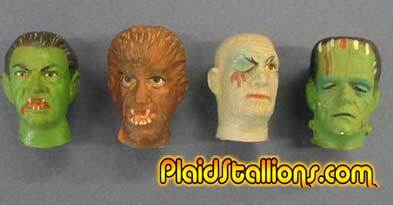 I was elated this year to add another one of these oddball 70s pencil toppers to my collection. These things are totally copying the AHI Super Monsters but I'm not sure they're licensed which makes them more appealing. 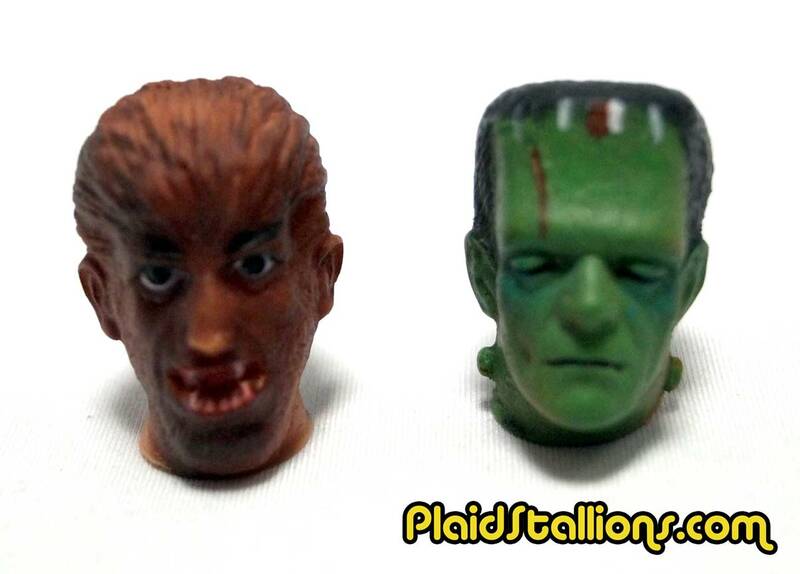 This year I found Frankenstein, which leaves only the Mummy and the awesome green Dracula to find. If anybody has these guys for sale, please lmk. 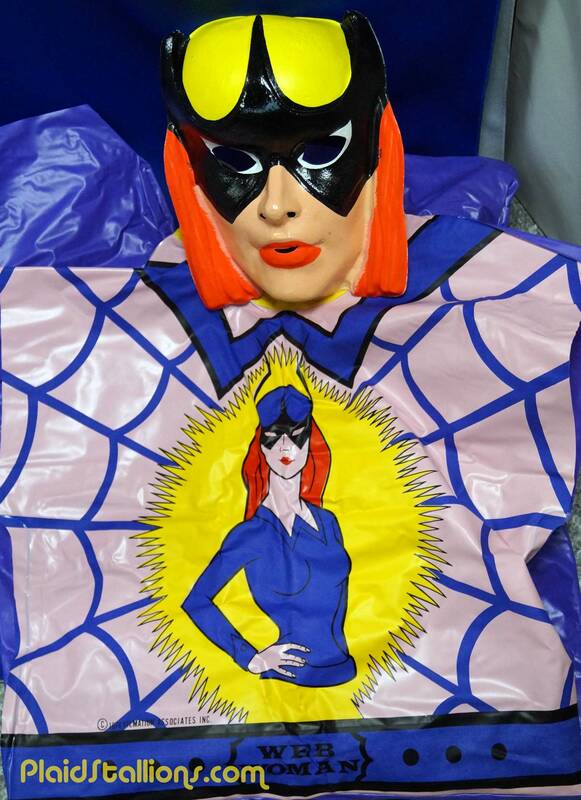 I know it seems odd that I'm excited to own a girl's Halloween costume but this is Web Woman, one of the seven of Filmation's "Tarzan and the Super 7" fame that I've been obsessed with since i was 9. 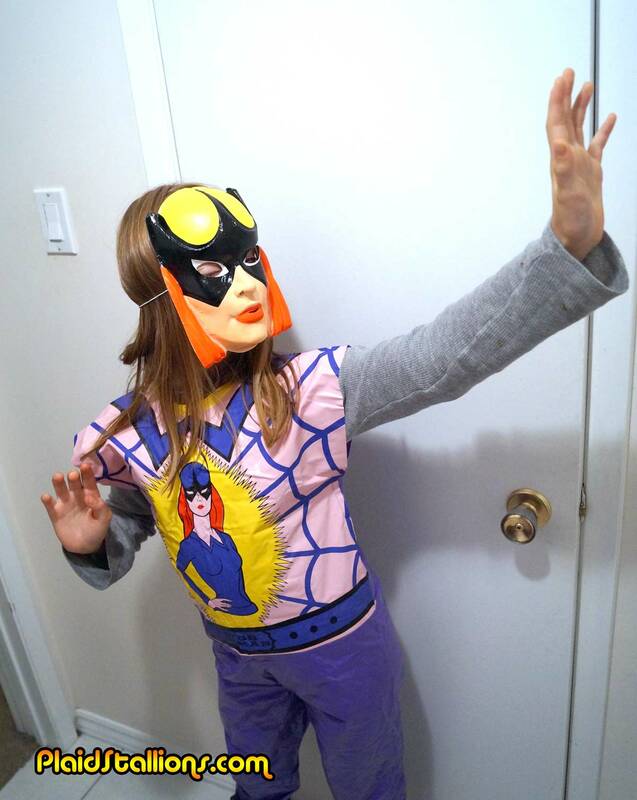 I've been looking for this costume for years and managed to get it for $20, which makes it that much sweeter. Also, I happen to have a willing model right across the hall. 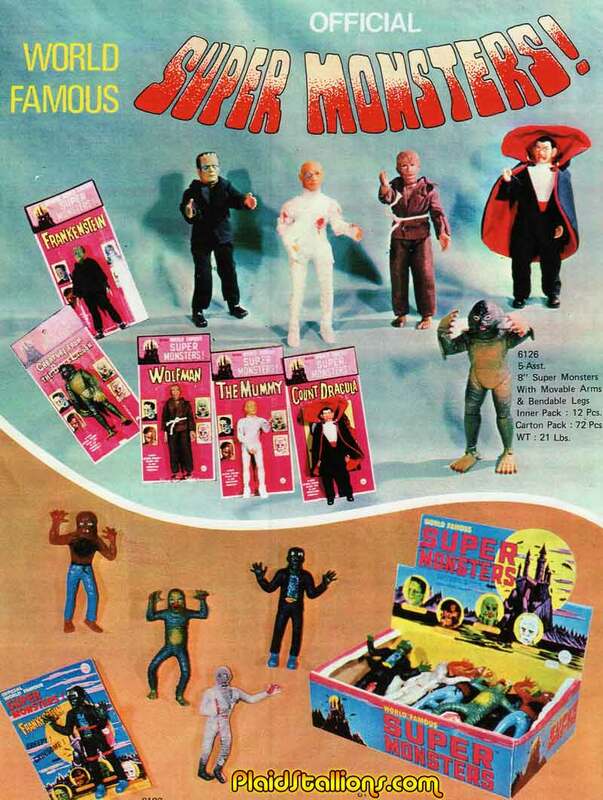 In 1975, Azrak Hamway International (AHI) was a toy company on the move producing mainly, low cost rack toys bearing such hot licenses at the time such as Batman, Spider-Man, the Universal Monsters and Star Trek. 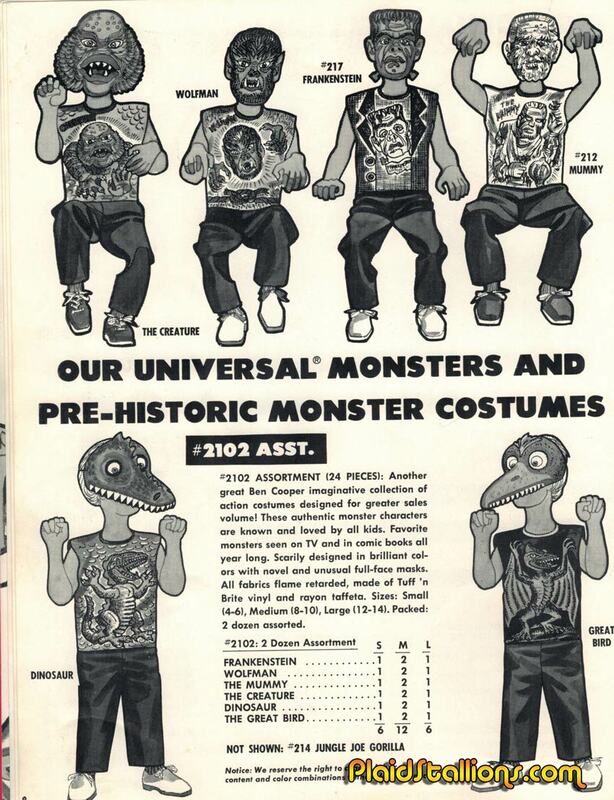 It's no surprise that the 1975 catalog is a real treasure trove for any 70s kids, there is so much to see in this fun book that it'd be hard not say "I had that' at least once. 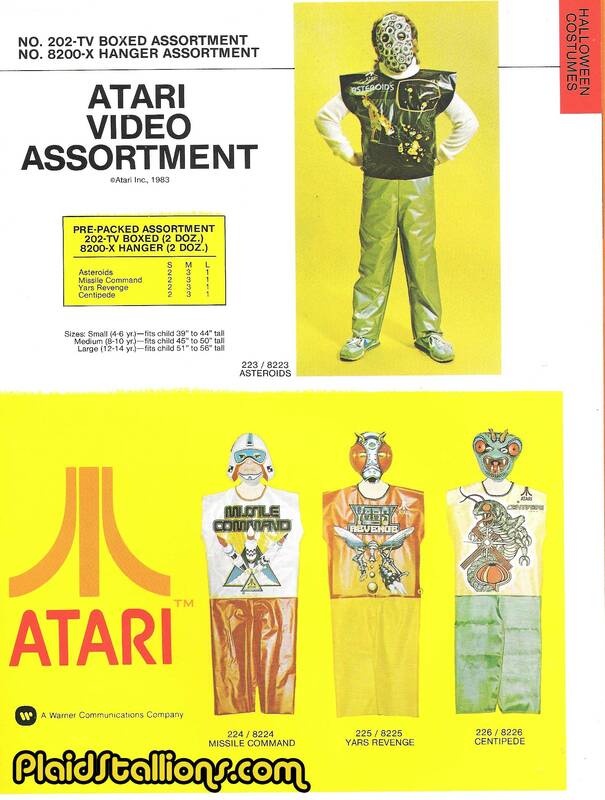 Check out the 1975 AHI Catalog Here! 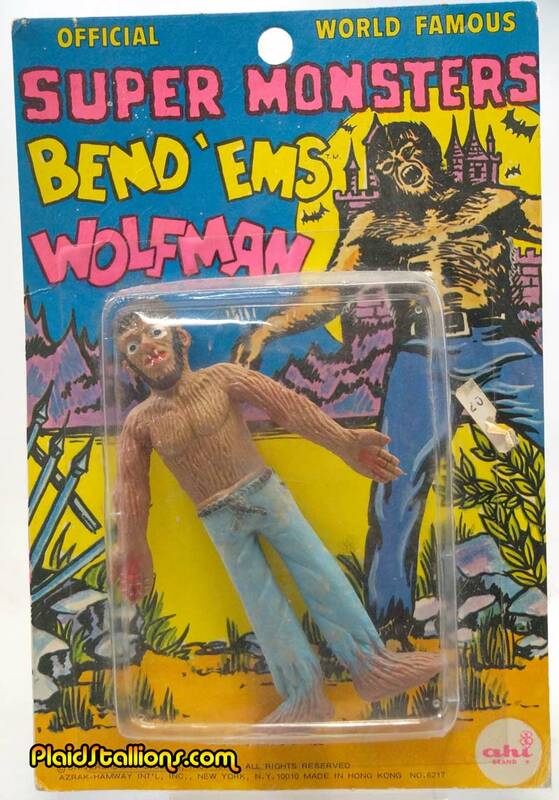 I've never blogged about these two, the jewels of my bendy collection, the Mummy (with card artwork swiped from the Aurora model) and the Wolfman! 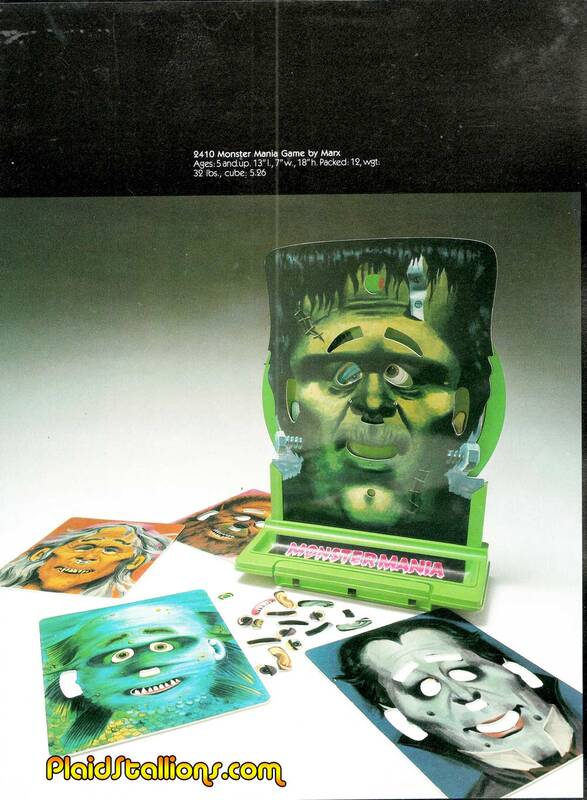 Not sure who this shirtless gentleman is but he's no Lon Chaney Jr.
Monsters seemed to have enjoyed a lot of popularity in the board game market, every year it seemed at least one company would put out a horror themed game of some kind. Over the years, I've waxed a good de about my desire to own these wonderful (and incredibly rare) creations by Azrak Hamway. 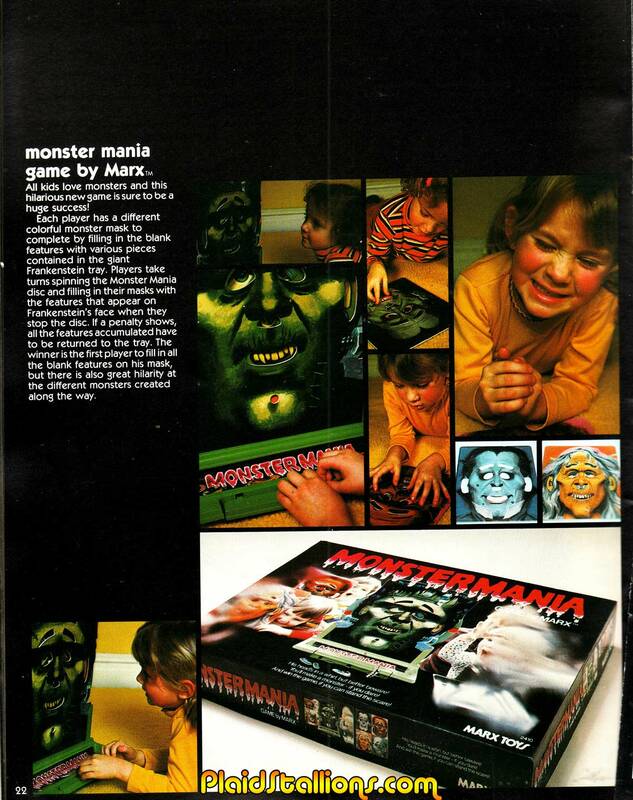 Seeing them in their carded form (they were introduced in 1975, it seems) only exacerbates the issue. 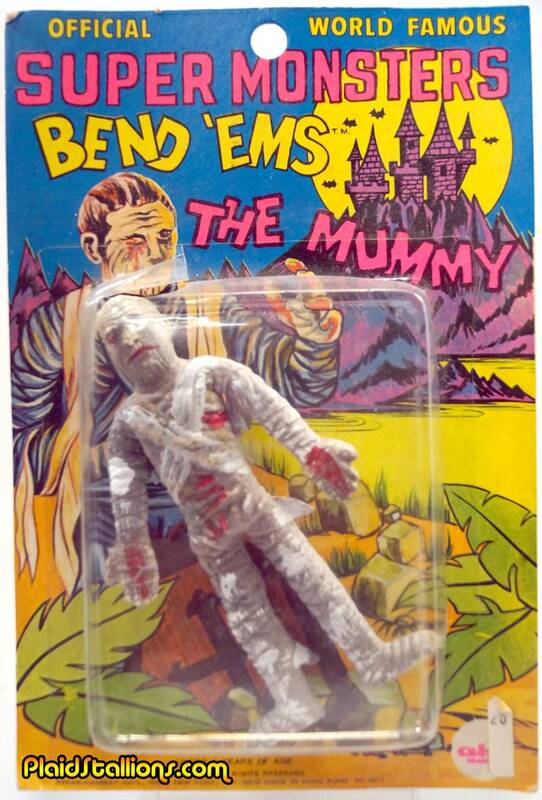 I'd love to own a carded Creature or Frankenstein one day but I am not sure I'll ever have the opportunity to do so. So strange that I'm smitten with something that once probably cost $.88 cents.